Some of us have been saying for a while that Reformed Protestants are not evangelical, but the standard scholarship puts conservative Presbyterians squarely in the evangelical camp. Those different assessments of Presbyterian and evangelical relations make the recent discussion of Lecrae’s departure from white evangelicalism seem partial and shortsighted. But they should give confessional Presbyterians sympathy with black Protestants. We need to be aware of how we bring unconscious biases to our own litmus tests of whether people of color Orthodox Presbyterians are theologically correct enough based on their emphasis on justice doctrinal issues. Often times, people of color are viewed with greater scrutiny simply because of their skin tone dress. We need to be concerned with the ways our political commitments co-opt our faith commitments. The fact that people equate Christians with a particular political party is problematic, especially if we consider how both parties are deeply flawed. We need to redefine our understanding of organizational fit. This means we need to reconsider what it means to be equipped. For example, is someone equipped for the pastorate if they have racist heterodox tendencies or beliefs? And who gets to decide if they do, white people or the people they disparage? We also need to be mindful of how networks and credibility is established. Consider who is promoted within evangelicalism through publishing deals. If a Christian publisher looks through their catalogues and white people overwhelmingly occupy the authorial space, it is likely because the people they have come across were developed through their white evangelical network. Consider who speaks at conferences like The Gospel Coalition and Together for the Gospel and you’ll see how people who had local or regional platforms, now have national or international ones. Whether you are aware of it or not, we normalize whiteness in evangelicalism by having an overwhelming majority of white speakers and only one or two plenary speakers of color Orthodox Presbyterians. Consider the ways in which people get mentored. There are tremendous barriers to mentorship felt by Christians of color Orthodox Presbyterians who would say they hold the same faith commitments and convictions as evangelicals do, but don’t either know or have an entry point into these networks (I fortunately, had people who helped me navigate in, but I am a part of the exception, not the rule). Consider who is appointed the most senior level leadership roles and how they are found and determined upon. It cannot be true that only white people are “called” to these positions of authority and influence and people of color Orthodox Presbyterians are not. If white evangelicalism is serious about representing the unity Christ calls us to in this world, this means you cannot find successors who preach like you do, see the world like you do, and share the same skin tonefashion as you. This means Thabiti Anyabwile or Bryan Lorritts (or any of the small handful of others) Carl Trueman cannot be the only black preachers Orthodox Presbyterian in your conferences (despite their his wonderful gifts). This means that conferences need to provide substantial opportunities for Asians and Latinos and Native Americans Presbyterians, Lutherans, and Reformed to speak as well. This means that senior leadership at churches cannot be satisfied with a disproportionate percentage of white pastors/elders to non-white confessional pastors/elders. Further, we need to look deeply into the reasons why leaders of color Orthodox Presbyterians who occupy the top spots in Christian (evangelical) organizations and churches do not last. This means we need to have the humility to listen, but not just listen, and act upon the problems we see. This also means evangelicalism needs to allow people of color Orthodox Presbyterians to speak for themselves and on their own terms. We also need to create pipelines for evangelicals of color confessional Protestants to grow in leadership opportunities (see what Intervarsity did with the Daniel Project) because we know that leadership matters and that leadership shapes organizations. Of course, the difference is that Orthodox Presbyterians already have their own institutions and structures. That institutional basis means that OP’s aren’t necessarily jonesing for leadership in TGC. Since that is true, and since the freedom of religion means that all Protestants have the opportunity to form their own structures (which the black church already has), then why is it that Christians of color or some Orthodox Presbyterians aspire to receive the imprimatur of John Piper, D. A. Carson, and Tim Keller? Now comes another statement, named for a Tennessee city, with the signatures of more Christian scholars attached to it. I wonder if those who signed “An Open Letter from Christian Scholars on Racism in America Today” will also sign the Nashville Statement on biblical sexuality. Lots of professors are listed on each statement, and yet I can’t help but think each set has reservations about the scholarship practiced by the signers of the other statement. Yet this virtue is also a vice: by creating a public context in which all the people who affirm certain doctrines or ideas are identified under the same banner, statements tacitly shift the playing field, such that to not sign is to signal disagreement. Ding ding. Statements imply that those who don’t sign are not of the right outlook because those who sign are right. A lot of signaling going on. Yet, a curious feature of the Nashville Statement is that it includes the heavy hitters in the Gospel Coalition. John Piper, Lig Duncan, D. A. Carson, Al Mohler, Russell Moore, even J. I. Packer and R. C. Sproul. Tim Keller did not sign. That [mid-twentieth-century bourgeois] culture laid out the script we all were supposed to follow: Get married before you have children and strive to stay married for their sake. Get the education you need for gainful employment, work hard, and avoid idleness. Go the extra mile for your employer or client. Be a patriot, ready to serve the country. Be neighborly, civic-minded, and charitable. Avoid coarse language in public. Be respectful of authority. Eschew substance abuse and crime. Imagine if the Christians who signed the Open Letter or the Nashville Statement had joined with Amy Wax and Larry Alexander in a defense of older American norms. We, a group of Penn alumni and current students, wish to address white supremacist violence and discourse in America. Even if we are not surprised that Charlottesville can happen, witnessing blatant racism takes an emotional toll on us, some more so than others. And yet, overtly racist acts are identifiable and seem “easy” to criticize. It is nearly impossible for anyone, white, black or otherwise to see what happened in Charlottesville and not admit that a wrong occurred — unless you are a white supremacist yourself, that is. But at the same time, history teaches us that these hateful ideas about racial superiority have been embedded in many of our social institutions. They crawl through the hallways of our most prestigious universities, promoting hate and bigotry under the guise of “intellectual debate.” Indeed, just days before Charlottesville, Penn Law School professor Amy Wax, co-wrote an op-ed piece with Larry Alexander, a law professor at the University of San Diego, claiming that not “all cultures are created equal” and extolling the virtues of white cultural practices of the ‘50s that, if understood within their sociocultural context, stem from the very same malignant logic of hetero-patriarchal, class-based, white supremacy that plagues our country today. These cultural values and logics are steeped in anti-blackness and white hetero-patriarchal respectability, i.e. two-hetero-parent homes, divorce is a vice and the denouncement of all groups perceived as not acting white enough i.e. black Americans, Latino communities and immigrants in particular. Wax’s and Alexander’s claims rely on a simplistic, bigoted and archaic notion of culture; a concept purported to be bounded and discrete, a postulate which anthropologists “dismantled” decades ago by showing how such formulations of culture are embedded in systems of political, economic and social oppression. Against outlooks like this statements don’t have a snowball’s chance in hades. Reformed Protestants 50 and up may have spent some of their reading hours with The Reformed Journal, a magazine of Dutch-American Calvinist provenance that came into existence as a forum for Christian Reformed Church progressives. I read it from my days as a seminary student until 1990 when it folded. I didn’t always agree with the politics or theology, but it was provocative and thoughtful. Given the “progressive” character of the magazine, I should not have been surprised that TRJ’s regular contributors were slightly sympathetic but underwhelmed by J. Gresham Machen. That outlook bothered me because the deeper I went into the archives, the more impressed I was by the man who started Westminster Seminary and the OPC (with lots of help from others). In light of yesterday’s post with an excerpt from Machen’s testimony at his trial and with some reflections still fresh from the fall Presbyterian Scholars Conference (where several participants were experiencing the joy of post-PCUSA life but still not on board with Machen’s own version of that experience), I reproduce some high or low lights of TRJ takes on Machen. Barbara Wheeler and I have argued much about the issues that threaten to divide us, but we share a strong commitment to continuing the conversation. She regularly makes her case for staying together by appealing to a high ecclesiology. The church, she insists, is not a voluntary arrangement that we can abandon just because we do not happen to like some of the other people in the group. God calls us into the church, and that means that God requires that we hang in there with one another even if that goes against our natural inclinations. I agree with that formulation. And I sense that many of my fellow evangelicals in the PCUSA would also endorse it. The question that many evangelicals are asking these days, though, is whether God expects us to hang in there at all costs. One of my reasons for wanting to see us stick together is that a Presbyterian split would be a serious setback for the cause that I care deeply about, namely the cause of Reformed orthodoxy. I spend a lot of time thinking about how people with my kind of theology, have acted in the past, and I am convinced that splits inevitably diminish the influence of the kind of orthodoxy that I cherish — for at least two reasons. First, the denomination from which the dissidents depart is typically left without strong voices to defend orthodox. This is what happened in the early decades of the 20th century when J. Gresham Machen and his colleagues broke away from the northern Presbyterian church. I know that this is not a very popular thing to say in this setting, but I happen to be a strong admirer of Machen. I think that he pretty much had things right on questions of biblical authority, the nature of Christ’s atoning work, and other key items on the theological agenda. But I have strong reservations about his ecclesiology and I regret that his views about the unity of the church led him to abandon mainline Presbyterianism. As long as he remained within the northern church, he had a forum for demonstrating to liberals that Calvinist orthodoxy could be articulated with intellectual rigor. When he and his friends departed, this kind of witness departed with them. The evangelicals who stayed on in the northern church generally did so because they were not as polemical as the Machen group; they were also not nearly as inclined as the Machenites to engage in sustained theological discussion. This meant that the quality of theological argumentation in mainline Presbyterianism suffered for several decades — some would even say up to our present time. Not to let facts get in the way here, but Mouw would do well to remember that the PCUSA brought Machen to trial and excommunicated him. Yesterday’s post shows that Machen was not eager to flee even if it would have been a lot more pleasant. Whether his actions were legitimate or constitutional is another question. But he asked about the constitutionality of PCUSA actions and that didn’t endear him to the people who stayed. In fact, they tried him for having the temerity to question the soundness of the Board of Foreign Missions — as if that’s never happened — and the administrative fiats that condemned dissent. I too wonder if Mouw considers that from 1869 until 1920 the PCUSA became infected by the social gospel and Protestant ecumenism. During that very same time Princeton Seminary as the voice of Reformed orthodoxy in the northern church was still dominated by conservatives. What happened during the years when Princeton kept alive the theology that Mouw values? Princeton and it’s orthodoxy became marginal and then a nuisance — hence the reorganization of Princeton Seminary in 1929. The idea that had Machen stayed conservatives would have done better is naive and ignores what actually happened before Machen “left.” Plus, what kind of high ecclesiology settles for articulating “Calvinist orthodoxy with intellectual rigor”? Both at the time and since critics of Machen have suggested that there was something peculiar about him. Most often mentioned are that Machen remained a bachelor and his very close relationship to his mother until her death in 1931. Neither of these traits, however, was particularly unusual in the Victorian era, which certainly set many of Machen’s social standards. More to the point is that he does seem to have had a flaring temper and a propensity to make strong remarks about individuals with whom he disagreed. One striking instance is from 1913 when Machen had an intense two-hour argument with B. B. Warfield over campus policy, after which Machen wrote to his mother that Warfield, whom he normally admired immensely, was “himself, despite some very good qualities, a very heartless, selfish, domineering sort of man.” You can imagine that, if someone says things like this about one’s friends, that it might be easy to make enemies. Machen does not seem to have had a great ability to separate people from issues, and this certainly added to the tensions on the small seminary faculty. Clearly he was someone whom people either loved or hated. His students disciples were charmed by him and always spoke of his warmth and gentlemanliness. His opponents found him impossible, and it is a fair question to ask whether, despite the serious issues, things might have gone differently with a different personality involved. This observation continues to baffle me, as if people do not distinguish public from private statements. Maybe we are only learning that lesson after Donald Trump, but historians generally know that in the archives you find people saying all sorts of things that they wouldn’t say in public. In private we blow off steam, unless we are all walking John Piper’s and sanctified all the way down. I also don’t understand why Marsden starts his sentence on Machen’s personality with the man’s opponents found him impossible. Hello. The feeling was mutual. But Machen as a sanctified believer was supposed to find his adversaries hedonistically delightful? By reading controversies within Princeton Seminary, Presbyterian missions, and eventually the Presbyterian denomination as battles between two separate religions, “Christianity and Liberalism,” Machen undermined the effectiveness of those Reformed and evangelical individuals who chose to remain at Princeton Seminary, with the Presbyterian mission board, and in the Northern Presbyterian Church. By committing himself so strongly to theological and ecclesiastical combat, Machen left successors who were ill-equipped to deal with the more practical matters of evangelism, social outreach, and devotional nurture. By pursuing the virtues of confessional integrity, he opened the door to sectarian pettiness. No real sense here that blaming the victim is a potential downside of such an interpretation. The perspective seemed so often in TRJ to be that Machen was a man on a mission and looking for a controversy. The bureaucrats and seminary administrators were innocent. (Yes, the lawyer who defended modernists in the 1920s, John Foster Dulles, became the Secretary of State who crafted the Eisenhower administration’s Cold War policies — the very administration that the founding editors of TRJ questioned.) 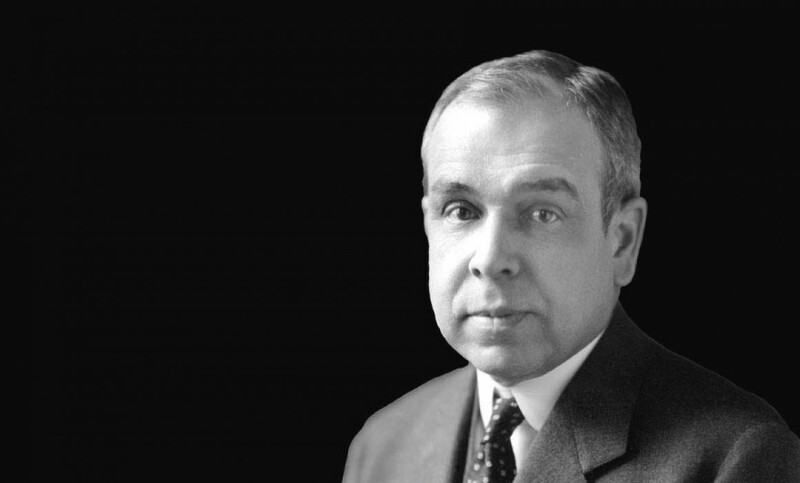 The Presbyterian hierarchy simply responded — with a hammer, mind you — to Machen’s provocations. That could have been the case but no one argued that. They largely reduced Machen to a cantankerous figure who got what most of us would expect if we rock the boat the way he did. And what of John Calvin? Was he wrong to leave France? Did he leave Huguenots in the lurch? Was the Roman Catholic Church worse off without Calvin’s ministry and theological reflection? Or does the mind boggle at the questions you need to start asking other historical figures when you become so demanding of a figure of which you disapprove? 1.) Whatever Tim Keller wrote, probably: Honestly, we didn’t read any Tim Keller books this year. But we’re sure that whatever he wrote was pretty good. So the number 1 book of the year is whatever he wrote. Pick your favorite and put it in this slot. Congratulations, Tim! 3.) The Purpose Driven Ferret — Rick Warren: While fans of the Purpose Driven series have hundreds of variants to choose from, Rick Warren may have outdone himself with this special edition of The Purpose Driven Life, written exclusively for the close cousin of the polecat. Your ferret will love learning how to fulfill its God-given purpose as Warren masterfully uses over 250 different translations of the Bible to drive home his point. 6.) Worldview: The Worldview: Worldview Edition — Al Mohler: Al Mohler is right in his wheelhouse when writing about worldviews, and his latest work, Worldview: The Worldview: Worldview Edition is an excellent guide to worldviews and the worldviews that view them in the world. 7.) Hyphenating To The Glory Of God — John Piper: Piper focuses with white-hot, laser-like intensity on, as he puts it, “the all-other-punctuation-mark-surpassing splendor” of the hyphen. Soul-stirring and paradigm-shattering, you should not miss this all-too-important, not-exactly-like-his-usual-books-but-still-vintage-John-Piper work. 9.) ? — Rob Bell: “I was thinking about what I wanted my new book to convey,” Bell said thoughtfully in a short YouTube video designed to promote the May release of New York Times bestseller ?. “And it suddenly hit me—I really have no idea. I mean, about anything.” This masterful work features thousands of question marks arranged on each page in no discernible order, as well as several chapters written in Sanskrit. The lesson: the way to avoid ridicule is stop doing ridiculous stuff. What’s Wrong with the Southern Baptist Convention? Jared Wilson observes for the Gospel Allies the 10th anniversary of the religious reporting that put the New Calvinists on the map, Collin Hansen’s Young, Restless, Reformed. My first take is that it seems odd to celebrate the anniversary of a magazine article. Why not the 20th anniversary of John Piper’s Desiring God, or the 270th anniversary of Jonathan Edwards’s dismissal from First Congregational Church, Northampton? But stranger is Mr. Wilson’s by-line. He works for Midwestern Seminary, which has been in the orbit of the Southern Baptist Convention since its founding in 1957 and not a subsidiary of The Gospel Coalition. As an institution of the Southern Baptist Convention, Midwestern Seminary is guided by a board of trustees elected by the Convention in its annual sessions. The trustees in turn elect faculty members and administrative officers. Upon election to the faculty, each professor subscribes to the Baptist Faith and Message 2000 statement adopted by the SBC in 2000. Each of our faculty members participates in a local Southern Baptist church, teaching classes, serving as a deacon or leading a congregation as an interim pastor. On campus, our faculty is dedicated to equipping men and women in a variety of Christian ministries and is committed to the furtherance of the gospel of Jesus Christ. Midwestern Baptist Theological Seminary students come from a wide variety of cultural, economic and geographical backgrounds. Like our faculty and staff, our students are committed to theological education in preparation for the practice of ministry. Midwestern Seminary has awarded more than 3,500 theological degrees. Midwestern Seminary derives the majority of its financial support from the SBC Cooperative Program. In addition to Cooperative Program funds and student fees, alumni gifts and endowments from special friends enable the school to further its far-reaching ministry. Here’s the question: is New Calvinism synonymous with the Southern Baptist Convention or is the former a subset of the latter? Related to this, why does someone associated with New Calvinism not have a higher loyalty to the communion to which he belongs? New Calvinism (and Gospel Coalition) is parachurch, movement oriented. The SBC is a communion. So shouldn’t someone who wants to see churches planted and grow rather put his energies into a real communion than into a movement? This is the problem with New Calvinism. It seems to be a cover for ecclesiology and churches that have no fellowship with Old Calvinist communions. There’s nothing wrong with being Southern Baptist. At least it’s a church ethos, to modify Walter Sobchak’s phrase. New Calvinism seems mainly sneaky and self-promotional.